Kunsthal Charlottenborg invites to Charlottenborg Art Talk with Alicja Kwade & Minik Rosing followed by the launch of Alicja Kwade's first monography 'In Aporie' published by Roulette Russe and Hatje Kanz. The admission is free and everyone is invited Wednesday 30 January at 5pm. In relation to Alicja Kwade’s solo exhibition Out of Ousia at Kunsthal Charlottenborg, experience Alicja Kwade and Professor of Geology Minik Rosing in a talk about how you can use art to scientific research and exploration, how to challenge science and it’s conventions and dwell on the unknown and the universe’s infinite possibilities. After the talk we celebrate the launch of Alicja Kwade’s first monography In Aporie with bubbles in Kunsthal Charlottenborg’s foyer. In Aporie is published by Roulette Russe and Hatje Kanz with articles by Minik Rosing and the curator of Out of Ousia, Marie Nipper, amongst others. The book can be purchased in Kunsthal Charlottenborg’s bookshop for 399 DKK. Also, Marie Nipper gives a guided tour in the exhibition Saturday 26 January at 1pm. Further info here. 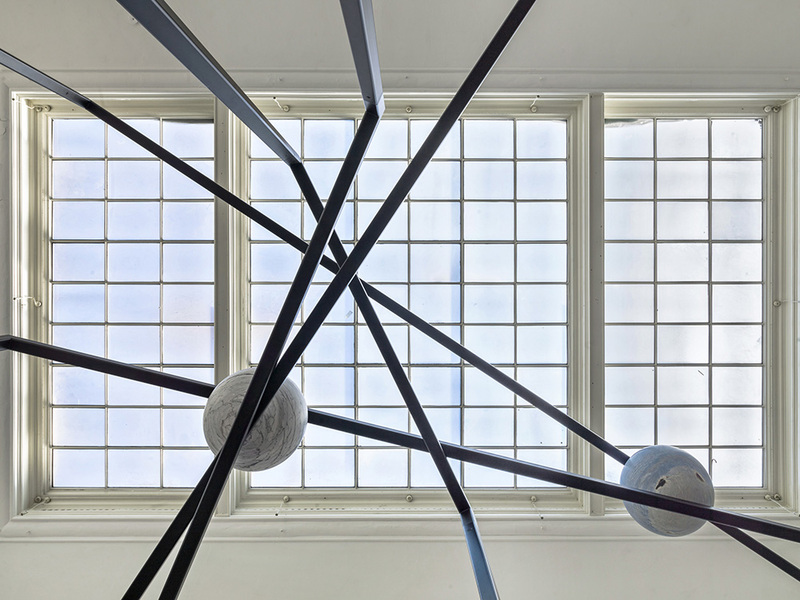 Alicja Kwade Out of Ousia is on view until 17 February 2019 at Kunsthal Charlottenborg. Further info about the exhibition here.